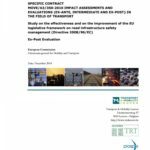 1) To carry out an ex-post evaluation of the application of Directive 2008/96/EC. What were the main impacts of its application on road safety? What steps were taken to implement the Directive? 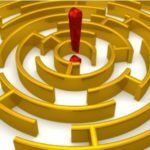 What is the relevance of the Directive? 2) To provide a preliminary analysis of the possible areas of improvement with regards to road safety and the safety of road infrastructure in particular. NTUA Professor George Yannis contributed to the respective stakeholder consultation. 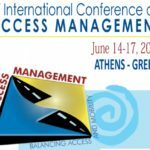 The 1st International Conference on Access Management took place in Athens in June 2011 and was organised by the Hellenic Association of Rural and Surveying Engineers, the TRB, the Technical Chamber of Greece and the NTUA School of Rural and Surveying Engineering. An introduction to the safety rating systems in use internationally has been highlighted at the recently released synthesis of the European Road Safety Observatory as prepared by the SafetyNet project. Safety rating systems present impartial information on aspects of traffic system safety. Safety ratings in use today are objective tools for the assessment and improvement of aspects of the safety of vehicles, the road network, work-related road safety and international safety performance. Safety ratings in use either predict safety outcomes for given designs or provide a retrospective assessment based on crash data. The elements of the road safety management system have been highlighted at the recently released synthesis of the European Road Safety Observatory as prepared by the SafetyNet project. Based on current knowledge, fatal and long term crash injury is largely predictable, largely avoidable and a problem amenable to rational analysis and remedy. 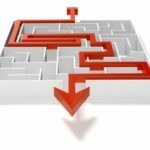 Safety is produced, just like other goods and services and the production process is viewed as a management system with three levels: institutional management functions produce interventions, which in turn produce results. Quantitative road safety targets has been highlighted at the recently released synthesis of the European Road Safety Observatory as prepared by the SafetyNet project. Quantitative targets represent the road safety results which a country or jurisdiction wishes to achieve over a given time frame. Targets provide the focus for the national road safety strategy and the level of their ambition drive decisions about coordination needs, legislative needs, funding and resource allocation, promotion needs, monitoring and evaluation, as well as research, development and knowledge transfer. A Cost-benefit analysis has been released by the European Road Safety Observatory as prepared by the SafetyNet project. 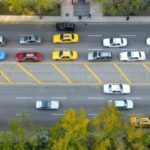 A recent road safety impact assessment is used to illustrate the findings of cost-benefit analyses of road safety measures, showing which measures are found to be the most cost-effective. There is still a large potential for improving road safety by using cost-effective road safety measures. 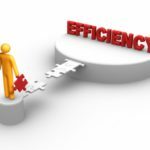 Analyses in Norway and Sweden – both of which are comparatively safe countries – suggest that fatality reductions of about 50 % can be realised by applying cost-effective measures. 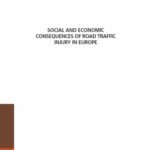 The European Transport Safety Council presented recently a Review on the social and economic consequences of road traffic injury in Europe, highlighting the completeness and accuracy of official road accident statistics, the long-term impacts of traffic injury and the social disparities in road accident risk.